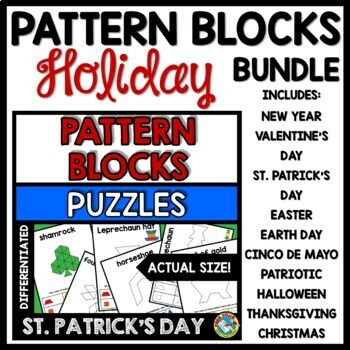 Each seasonal hands-on fun pack will contain approximately 48 no-prep printable mats. So far only some packs are included. The other sets will be added soon to the bundle and the price will increase so grab the bundle now to save big! These resources are ideal for Kindergarten and 1st Grade students! 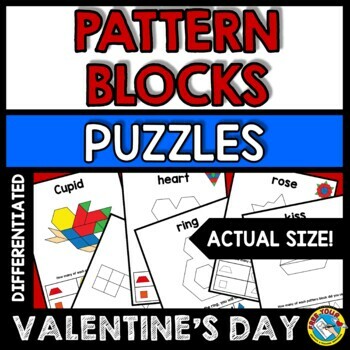 Kids have to build each picture with pattern blocks by placing the blocks on the actual mat. 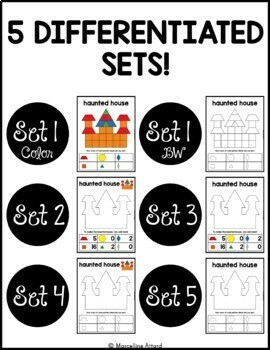 Each set will be differentiated and will contain approximately 8 mats to offer differentiation and challenge for each child. Set 1 includes both color and bw versions. Please note that the pattern blocks templates are scaled to size. They were designed to be printed on US letter paper (8.5" x 11") in portrait format.